Shop online for 20 royal-brush hobby arts and crafts at discounts up to 70%. This is the Panda & Baby (8.75"x11.75") Paint By Number Kit from Royal Brush Manufacturing. Suitable for Ages 8 and Older. This is the White Tiger Pair (8.75"x11.75") Paint By Number Kit from Royal Brush Manufacturing. Suitable for Ages 8 and Older. 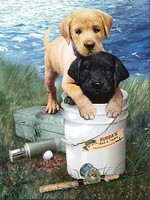 This is the Fishin Buddies (Puppies)(8.75"x11.75") Paint By Number Kit from Royal Brush Manufacturing. Suitable for Ages 8 and Older. This is the Curious Eyes (Wolf)(8.75"x11.75") Pencil By Number Kit from Royal Brush Manufacturing. Suitable for Ages 8 and Older. This is the Patriotic Bluebird with American Flag (8.75"x11.75") Paint By Number Kit from Royal Brush Manufacturing. Suitable for Ages 8 and Older. 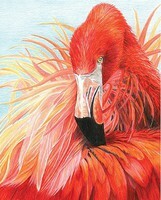 This is the Flamingo (8.75"x11.75") Pencil By Number Kit from Royal Brush Manufacturing. Suitable for Ages 8 and Older. This is the Playful Kitten (8.75x11.75) Paint By Number Kit from Royal Brush Manufacturing. For ages 8 and older. This is the Free Spirits (Galloping Horses/Stream)(11.25"x15.375") Paint By Number Kit from Royal Brush Manufacturing. Suitable for Ages 8 and Older. This is the Mystical Moonlight (Wolves)(11.25"x15.375") Paint By Number Kit from Royal Brush Manufacturing. Suitable for Ages 8 and Older. This is the Duck Feeding (Country Scene)(11.25"x15.375") Paint By Number Kit from Royal Brush Manufacturing. Suitable for Ages 8 and Older. This is the Kitten & Puppy (8.75"x11.75") Pencil By Number Kit from Royal Brush Manufacturing. Suitable for Ages 8 and Older. This is the Equine Paddock (Horses)(8.75"x11.75") Paint By Number Kit from Royal Brush Manufacturing. Suitable for Ages 8 and Older. This is the Farm Animals (8.75"x11.75") Paint By Number Kit from Royal Brush Manufacturing. Suitable for Ages 8 and Older. This is the Polar Love (Bear with Cub)(8.75"x11.75") Pencil By Number Kit from Royal Brush Manufacturing. Suitable for Ages 8 and Older. 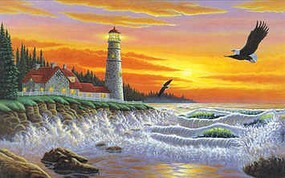 This is the Underwater Treasures (8.75"x11.75") Paint By Number Kit from Royal Brush Manufacturing. Suitable for Ages 4 and Older. This is the Summer Bugs (8.75"x11.75") Paint By Number Kit from Royal Brush Manufacturing. Suitable for Ages 4 and Older. This is the Dinosaurs Day (8.75"x11.75") Pencil By Number Kit from Royal Brush Manufacturing. Suitable for Ages 8 and Older. This is the Buck's Pal (Horses)(8.75"x11.75") Pencil By Number Kit from Royal Brush Manufacturing. Suitable for Ages 8 and Older.